What do Employee Coaching Techniques and the Three Stooges have in common? Join GCS’ Greg Alcorn as he enlightens contact center industry professionals at the 2013 Contact Center Network Group (CCNG) Executive Summit. GCS President and CEO Greg Alcorn will participate in the Summit September 23rd through 24th in Arlington, Texas. You can also listen to the webcast of his presentation online! Greg’s presentations will include Coaching the Words that Work and The Three Stooges of Speech: Leadership Words to Use and Avoid. The CCNG Executive Summit is a two-day interactive experience exchanging executive-level knowledge shared by industry colleagues and professionals. The Summit will include case studies, discussions, breakout sessions and conversations surrounding the vision of the industry’s future. 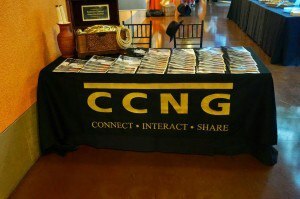 CCNG is the number one networking organization for the contact center industry. Members have the ability to share information and insight between peers and top professionals. “GCS has had a long-standing, mutually beneficial relationship with the CCNG. I’m excited to have the opportunity to be a part of such a rewarding experience for the folks in our industry and give them nuggets of information I’ve found to be helpful to our work,” states Alcorn. CCNG Executive Summit September 23-24 in Arlington, Texas. Greg brings over 25 years of executive leadership and business coaching experience with GCS and is a hands-on leader, frequently visiting clients, prospects, and contact center locations. Greg leads by the principle of “the micro is the macro” in his business and stays closely involved in many aspects of the company. He teaches presentation skills, helps write call guides and refines product offerings. Greg is an active participant in monitoring and feedback programs and is constantly experimenting with ways to improve communication. Greg’s daily focus on coaching, and being coached, has fostered a learning environment that continually improves the customer experience for his clients. For information on CCNG and to register for the Executive Summit, visit www.execsummit.com. To learn more about how GCS can help improve your customer service, contact us today.